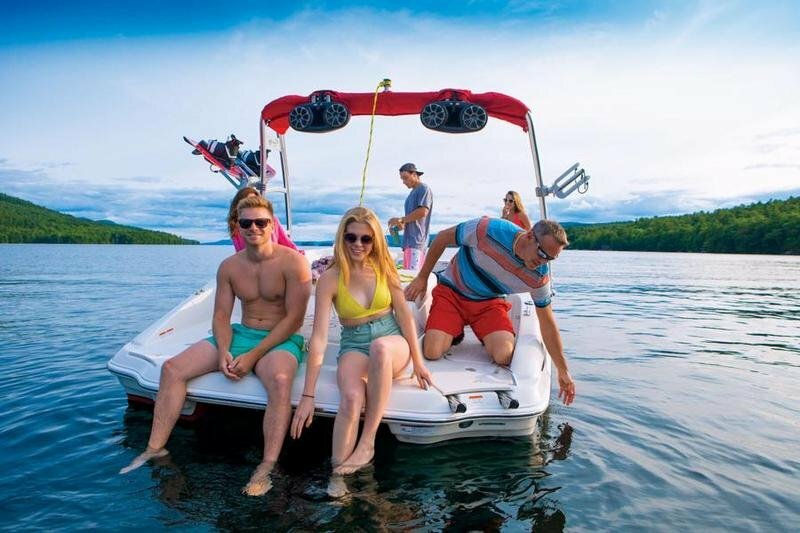 Our biggest deck boat stands at an amazing 21’ 6" (6.25 m) long and 9’ 6" (2.6 m) across and can accommodate a crew of up to 12. 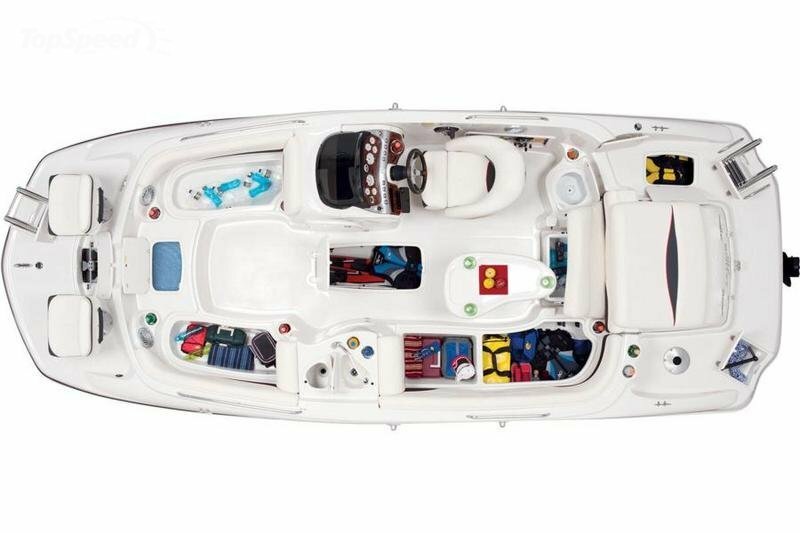 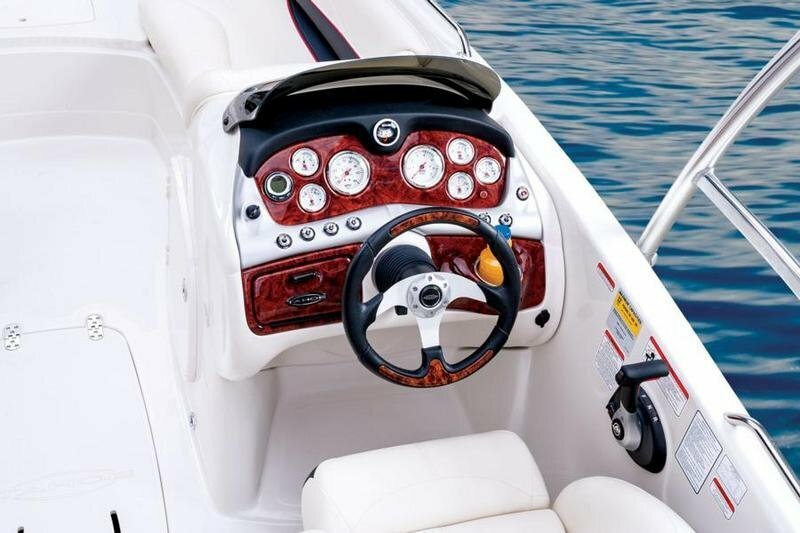 The roomy, recessed interior feels like home, with luxurious wraparound lounges, a refreshment center with a freshwater sprayer, a removable table, and underfloor storage for skis, a trolling motor, or wakeboards. 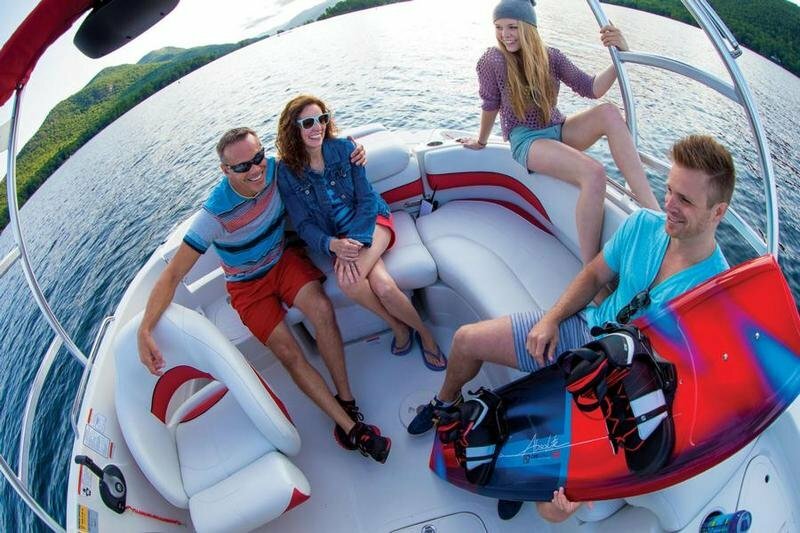 Continue reading for more information on the TAHOE 215 Xi. 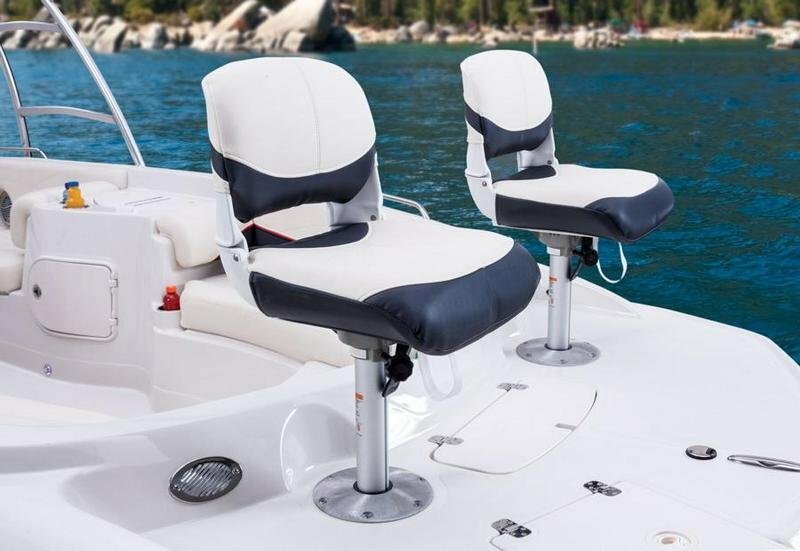 For anglers, there are 2 movable fishing chairs and 3 pedestal seat bases, plus an aerated livewell. 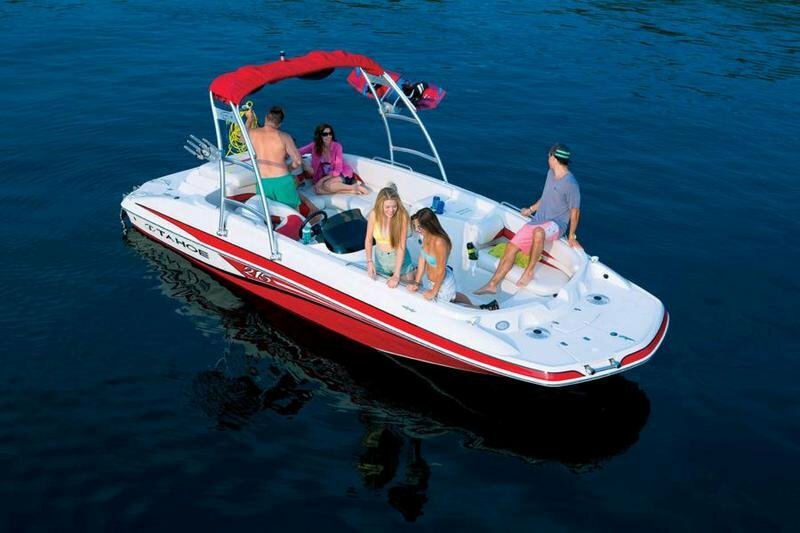 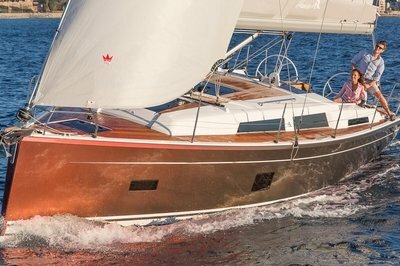 For water sports lovers, there’s a stainless tow ring and a huge aft swim platform. 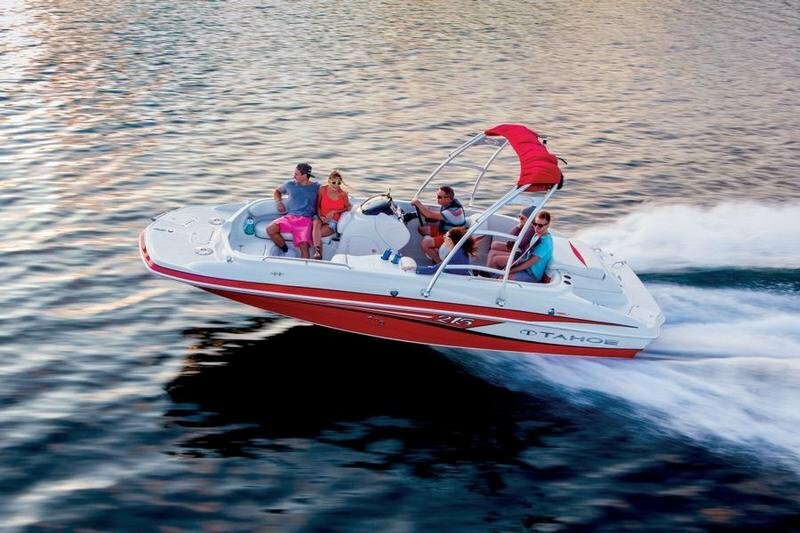 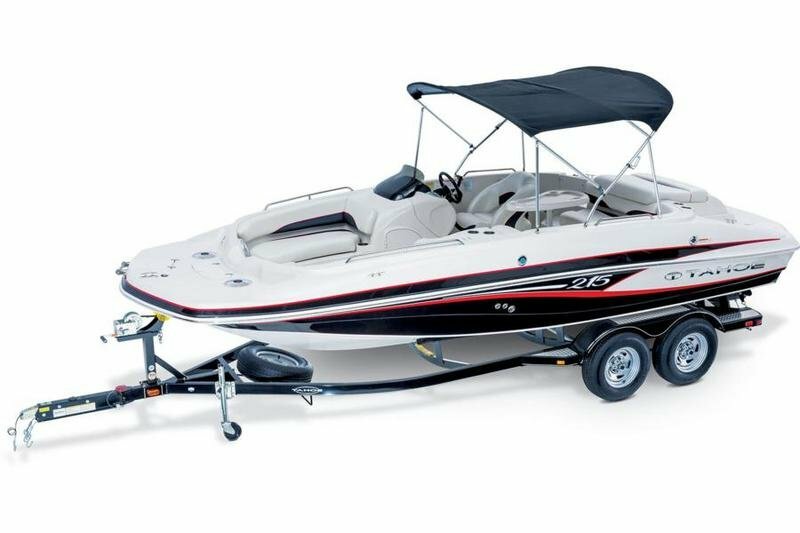 And the POWERGLIDE® hull and 220HP Mercury® sterndrive make high performance standard.